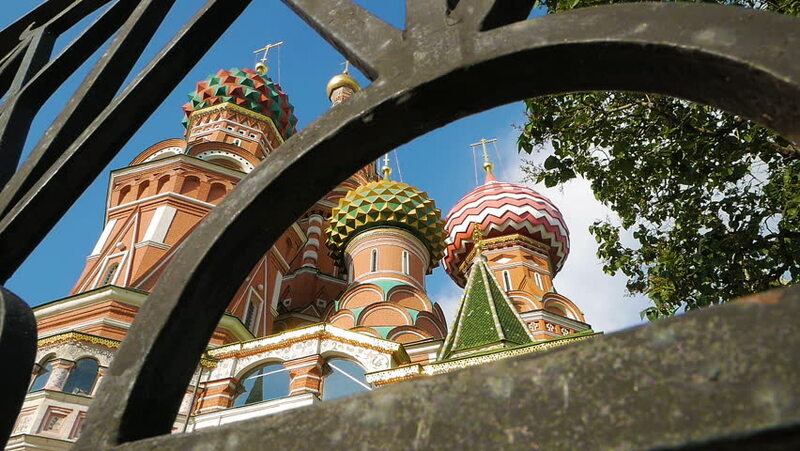 Low angle shot of colorful domes and other fragments of St Basil's Cathedral on Red Square near Kremlin through iron fence. It's the major landmark in Moscow, Russia. hd00:15India Goa Querim, Tiracol - February 20 . 2018 AJOBA TEMPLE. The buddha temple in India. hd00:11ISRAEL - FEB 2011: The inside of mosque, ceiling shot.